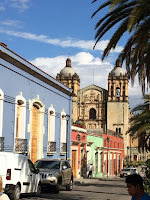 New Year's Day and the beginning of a long weekend in Oaxaca City in southern Mexico. Been meaning to come here for ages, and now with Nick, Kate & Thomas, we have the perfect excuse. 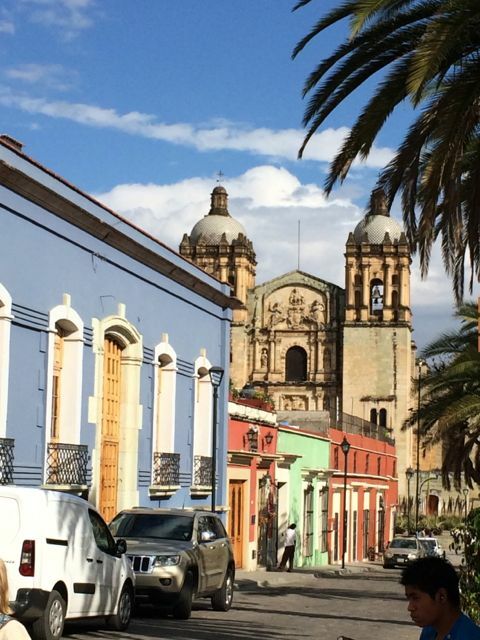 A culturally rich, laid-back and very walkable city surrounded by rugged hills and mountains. The tallest buildings are the churches, of which there are many; the rest are colourful, low-level colonial-style houses, galleries, museums, shops, small hotels (ours was once a convent) and hundreds of cafes and restaurants. Its gorgeous. We're going to attempt to have breakfast and dinner - skipping lunch- in a different place each time. There's plenty too choose from.